Job Opening: Japanese Language, Lecturer | What can I do with a B.A. in Japanese Studies? The Asian Studies Program at Bowdoin College invites applicants for a senior lecturer position in Japanese language that begins in fall 2013. The initial appointment will be four years, with the possibility of renewal upon successful review. 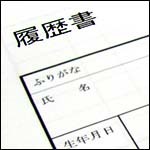 Applicants should have native or near-native fluency in Japanese; an M.A. in Linguistics, Foreign Language Pedagogy, Second Language Acquisition, or related field; and teaching experience at the college level in the United States. Ph.D. candidates are also welcome to apply. Applicants should have a proven record of excellence in teaching, and ideally some administrative experience. The successful candidate will teach a 3-2 annual course load of upper and lower level language courses, advise and mentor students and play a leadership role in curriculum development and program building through participation in Japanese language table, study abroad advising, and planning of cultural activities. Bowdoin is a highly supportive environment; the successful candidate will be eligible for conference travel support and to apply for research and other professional development funds. Bowdoin College accepts only electronic submissions. Please visit https://careers.bowdoin.edutosubmit letter of application explaining your qualifications and teaching philosophy, c.v., a sample of self-designed materials for an upper level class (strongly recommended), and the names of three references who have agreed to provide letters of recommendation. Review of applications will begin on November 15 and continue until the position is filled. Initial interviews will be conducted by Skype. Contact: Bowdoin College accepts only electronic submissions. Please visit https://careers.bowdoin.eduto submit letter of application explaining your qualifications and teaching philosophy, c.v., a sample of self-designed materials for an upper level class (strongly recommended), and the names of three references who have agreed to provide letters of recommendation. This entry was posted in announcements, job openings, jobs and tagged Bowdoin College, Japan, Japanese, job opening, language, lecturer, Maine. Bookmark the permalink.